Here's my new opinion on bad weather - dress to turn that frown upside down. If it's a horrible day, use it to wear something fun and fitting for the clouds outside. I have a few pairs of wellies just for such days, including these Buffalo Plaid Sebago Boots. 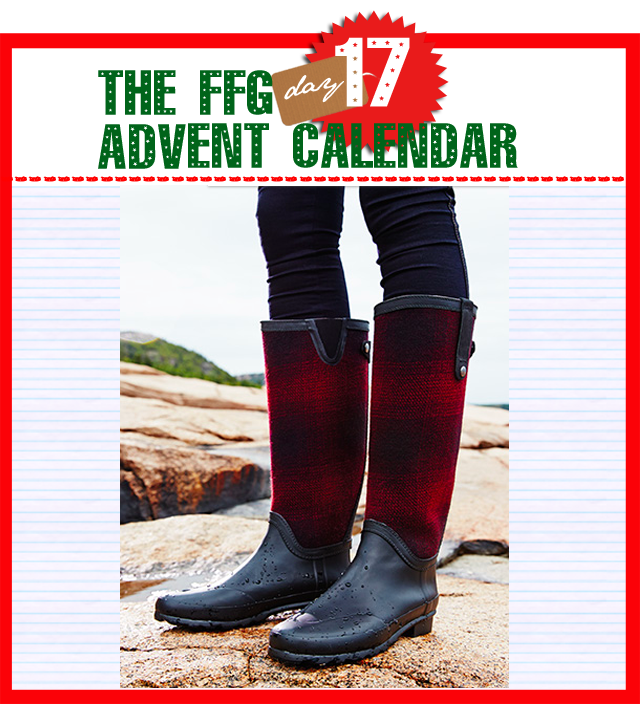 They're perfect for splashing in puddles, sludging through snow or mucking in and out of mud on country walks. They're my "country chic" magic weapon and I have a feeling I'll be using them a heck of a lot throughout January when the weather really shows its true colours in the UK. For those of you expecting a white Christmas this year, these may just be perfect for the festive ensemble in battling the elements.